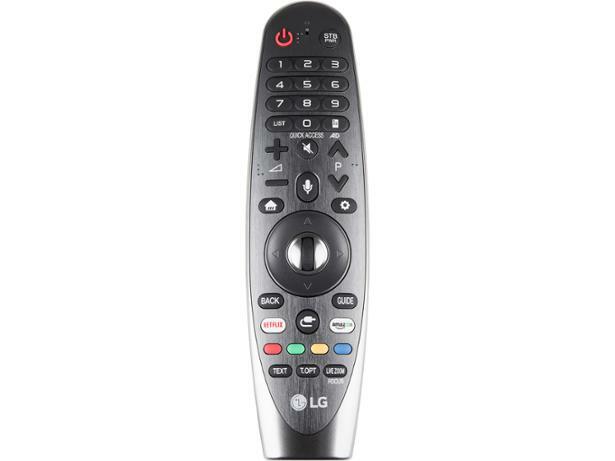 How long has it been since you last upgraded your TV? Five years, eight years, 10 years? Not much has changed on the outside: bezels are thinner and bases are sleeker, but it’s still a sheet of glass in a plastic shell. In technology terms though, TVs have come a long way since you last splashed out on a new set. Resolution is the obvious improvement. Full HD TVs are almost extinct and 4K sets, which can display 30 million more pixels, make up the majority of every brand’s range. A 4K screen is easy to show off and easy to market, but the likes of LG and Samsung are constantly tweaking their TVs’ software year after year. The features added may not be as significant as a picture that’s four times sharper than Full HD, but are no less welcome. We’ve picked five features to look forward to using when you buy a new TV. 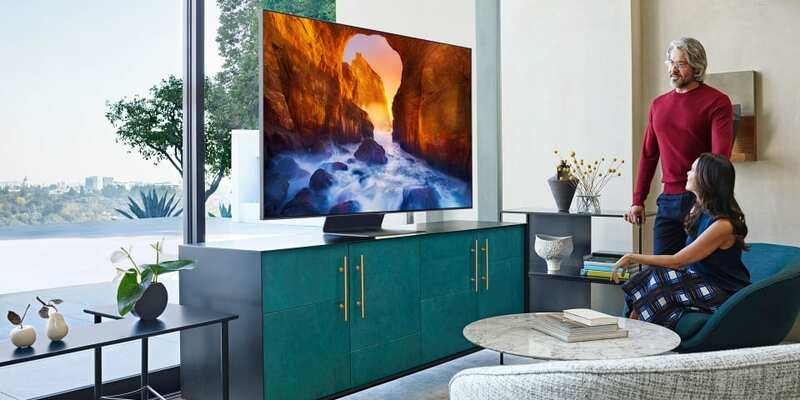 Top TVs for 2019 – pick a great model with the latest features. While this isn’t the newest feature in this list, it was, until recently, a bit rubbish. When voice control was in its infancy you couldn’t do much more than adjust the volume; a job that was more easily done by pressing a button. Fast forward a few years and now you can ask your TV to find you something to watch. In the mood for horror? Well ask for some spooky films. The next step of course is for your TV to ask if you definitely want to start watching Halloween at 11pm. If you already know what you want to watch then you can use your voice to search for something specific, or switch straight to your favourite channel. Generally you need to press a button on the remote to get your TV to start listening, but Samsung’s latest tellies operate more like an Amazon Echo and will respond to a ‘wake’ word even when your remote is out of reach, or it’s gone missing for the fourth time that week. Voice control is pretty common, but some brands do it better than others. Our TV reviews highlight where voice control worked particularly well, and where it’s an afterthought. Like voice control, DLNA isn’t new – but if your TV is so old that it can’t connect to the internet, it won’t support the supremely useful DLNA feature. DLNA stands for Digital Living Network Alliance, which is something you’ll forget by the time you reach the end of this story, and it makes it possible for a range of internet-connected devices to wirelessly share content – such as photos and videos – to a TV quickly and easily. Smartphones, tablets, laptops and some digital cameras support it, as do the majority of TVs. But DLNA isn’t alone in allowing this sort of swift sharing: some manufacturers have their own protocols that work in a similar way, but a modern TV will always have some version of it. Read our guide to getting wired and wireless devices connected to your TV if you’re struggling to get your tech talking to each other. You’ll need to buy a high-end TV for this one, but it’s a welcome addition for anyone who likes to record shows and doesn’t want to buy a separate personal video recorder (PVR) box. A TV with a built-in PVR means you can record a show onto a USB hard drive. Only one show though, and you can’t watch something different while you do. A twin-tuner PVR on the other hand lets you record two different shows, or watch one while recording another – very handy. We’ve all been mesmerised watching a logo bounce around a screen desperately hoping it would, just once, slot neatly into the corner. It never does, and wouldn’t it be nicer to see a beautiful image on the screen when your TV’s not in use, rather than a logo or just a black void? Generally these screensavers are your typical stock photos: sunset by the beach, cute animal images – but some let you choose your own pictures to display instead. Samsung takes things one step further with its QLED TVs. They can display works of art, and even match the decor in your room, so the screens just look like a continuation of your paintwork or wallpaper when they aren’t in use. QLEDs are high-end sets, but they’re not all extortionately priced. Read our review of the Samsung QE49Q6FN to see if the picture and sound quality can match the cutting-edge features. It’s gone now (tragically, in my opinion) like a flame that burns twice as bright but for half as long. If you haven’t bought a TV for around seven years then this trend may have passed you by altogether. Thankfully there are plenty of other visual treats to be found on modern TVs. 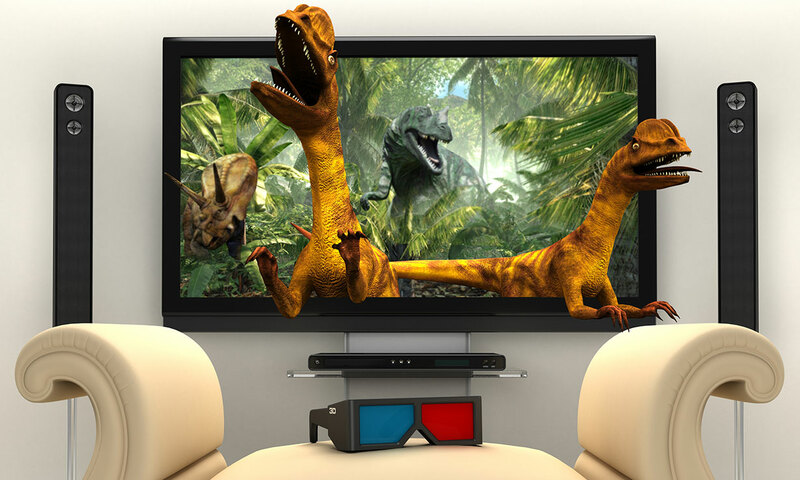 AI upscaling is the latest tech to improve your viewing experience. It analyses what’s on screen, trawls an enormous, and ever-expanding, database of hi-res images to sharpen whatever’s on screen to the maximum resolution that TV is capable of. There’s also HDR – all five formats of it. The latest formats, Dolby Vision and HDR10+, can adjust the contrast of a scene dynamically to make colours appear richer, blacks deeper and whites crisper. Read our guides on buying the best LG, Panasonic, Samsung and Sony TV to see what other new tech is headed to TVs in 2019. Some of the latest TVs also give you the ability to browse the internet, play games and control smart-home devices. The latter is particularly useful for things like wireless security camera feeds and video doorbells, since you can get the video straight onto your TV screen. TVs continue to evolve, often in unexpected ways, and our reviews cover all of it, from picture quality to how these internet enabled TVs use the data they collect. Take a look at all our TV reviews to find your ideal set.